Our popular Restaurant can be found on the first floor – just turn right up the stairs when you enter the building. 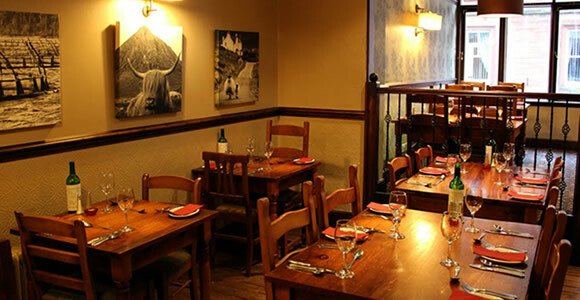 Open just about every evening throughout the year from 5.00pm, we can cater for up to 50 at any one sitting – busy enough to create a wonderful atmosphere and small enough to be cozy. The restaurant is very popular and often busy. 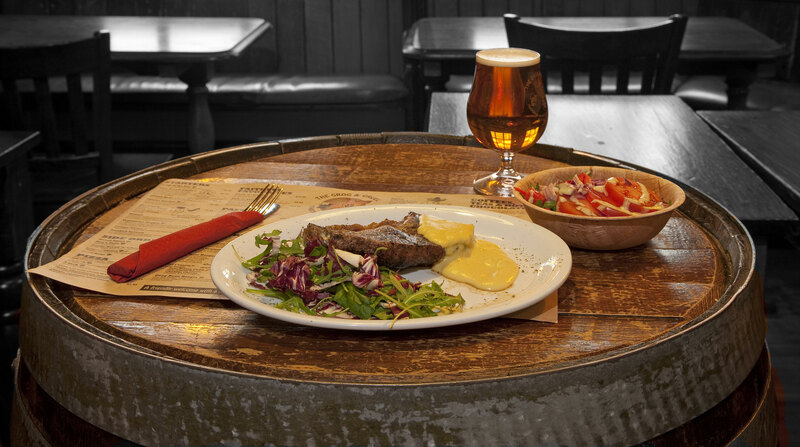 In the event that we can’t provide you with a table straight away, just leave your name with our staff and pop downstairs for a pre-dinner drink in the Alehouse. We’ll call you when your table is ready. Our Restaurant Menu (Click to open as a PDF) caters for all tastes and we’ll guarantee that you’ll be spoilt for choice! 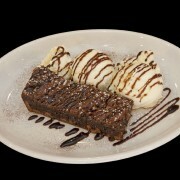 Children are welcome and little ones can choose from our special Children’s Menu. We can provide a high chair on request. If you would like to book a table in the restaurant then please contact us using our Contact Us page or telephone on 01397 705078. 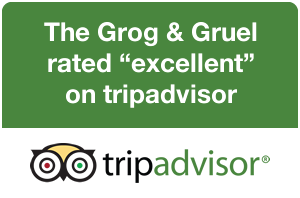 We would love to accommodate you, and we would hope to be able to allocate a table, though we may need to ask you to enjoy a pre-dinner drink in the Alehouse while a table becomes available. 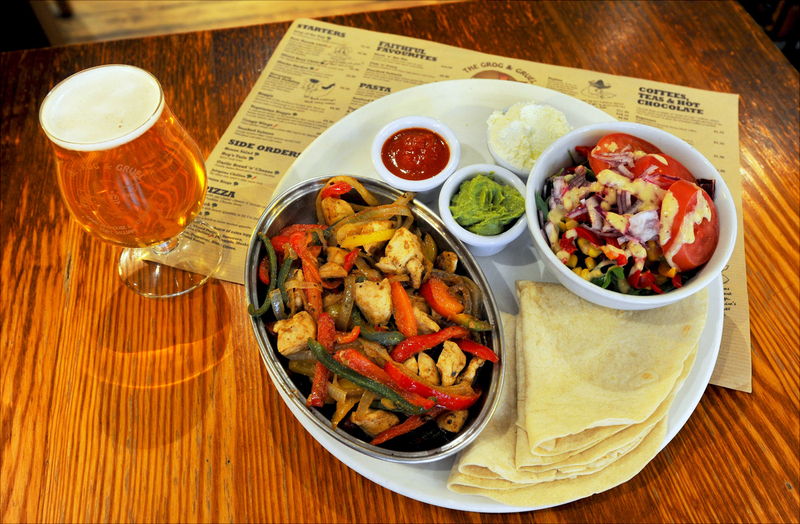 Take a look at our Alehouse Menu. Pronounced fa-hee-ta. Get stuck into fun finger food at its best. 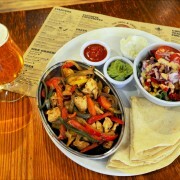 Flour tortillas, peppers, onions, spicy salsa, sour cream, guacamole and your choice of chicken, steak or mushrooms. 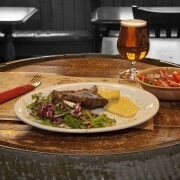 A half pound of Scottish beef cooked to your liking. Served with Hog's Tails and salad. Add Garlic Butter, Cracked Black Pepper Butter, or Dijon Mustard Butter. 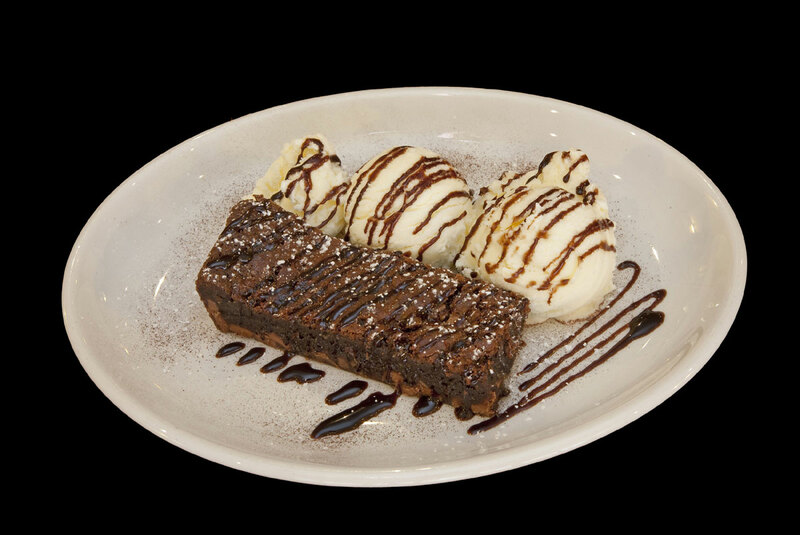 A locally made favourite, served warm with vanilla ice cream.